Popular drawing app Paper by FiftyThree arrives on iPhone. 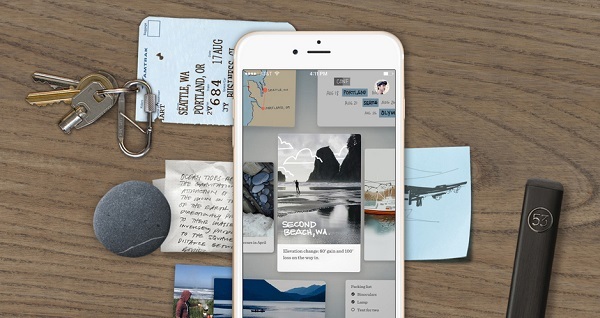 FiftyThree today announces the availability of Paper for iPhone. The all-new Paper makes it possible for anyone to get their ideas down quickly, in whatever form they hit-notes, images, sketches-and store them in spaces that can be easily rearranged, like a wall of sticky notes. Paper is free in the App Store on iTunes for both iPhone and iPad. Instantly create diagrams, sketch on top of photos, and make checklists with the swipe of your finger. Whether you're remodeling your home, taking lecture notes, or creating a presentation, Paper redefines what it means to be productive and creative on-the-go. Notes, Photos, and Sketches-Get an idea down in any form. Snap a photo, type a note, or sketch it out. Put all your thoughts together in one place. Notes-Text reinvented for touch. Swipe to Style is an industry-first feature that lets you instantly create lists, bullet points, or titles with a simple swipe of your finger. Swipe right to create checklists, swipe left to create titles. Photos-This new filter lets you easily spotlight the area in photos and screenshots that you want to point out with just the tap of a finger. Sketch-All the power of Paper's original tools to write, sketch, diagram, and graph are now in your pocket. Zoom and rewind-it's all there. Grid-Grid view means text, photos, and sketches live together in a grid that shows you everything at once. Rearrange your grid for presentations, outlines, and storyboards. Spaces-Organize your ideas into separate Spaces that you can name and customize with a cover image. Make as many Spaces as you want. Pencil-Connect our award-winning Bluetooth stylus for a fast, simple way to sketch out your ideas. To celebrate Paper, we’re having a limited time sale on Pencil. Shop now. Tips-Paper now includes quick video tips that you can access right inside the app. Tap on the ? in the top right corner of Paper to get started.